We are a happy couple 50 and 52 years old living outside the little village of Albanchez, Almeria, Andalucia, in the very south of Spain. Tonje from Oslo, Norway and Eduardo Spanish grown up here. We live in an old farm house called a 'cortijo'. A house which used to be populated with both people and animals separate under the same roof. 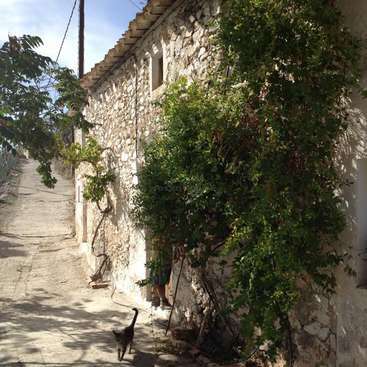 The cortijo has a cave inside used as a storage room for food oil wine etc. We live in a small group of houses in the municpality of Albanchez, Almeria. Six people live permanent but there are several families coming on weekends, vacation and longer stays during the year. Dogs and cats also make this the friendly place it is to live in. We both have children and grandchildren busy with studies, work and family. Eduardo's back has gotten very bad and we now have problems finish building the house, taking care of the agriculture business and make all our plans come true. We love cooking and enjoy experimenting making cheese, wine etc. Because of Eduardo's bad back our goal is to make an alternative living. We are interested in changing the environment by thinking permaculture solutions and need help to make our dreams come through. We also participate as citizen scientists in the GROW Observatory project. Tonje speaks Spanish, Norwegian and some German. Eduardo Spanish. The house has unlimited wifi. We are open minded and easy going. We have had workawayers since November 2016 and wish new friends welcome. We offer a variety of tasks and you can practice your Spanish in a beautiful authentic environment. Our philosophy is to protect the antique and old traditions as much as possible and you might learn some new ways of solving challenges. The village, Albanchez, is as close you can walk there in 40 minutes or use our bicycle - any ways we're happy to take you there with one of our cars. Once a week we go shopping in Albox which has supermarkets and shops of all kinds ( also a nice market on Tuesdays). There are 4-5 bars in the village, some with free wifi. The population counts approximately 600 inhabitants, the colony of English expats included. In the neighbour village Olula del Rio there is an interesting art museum with their own collection of Goya. You can connect or disconnect to the busy world as you like. We live outside the village with peace nature and a marvellous star view at night. In July and August the town hall provides the village with a public pool completly renovated 2018. We need 1 person, from January 2019. We have some farming going on around the year for our own use. We need help to finish the extension of the road outside the house. 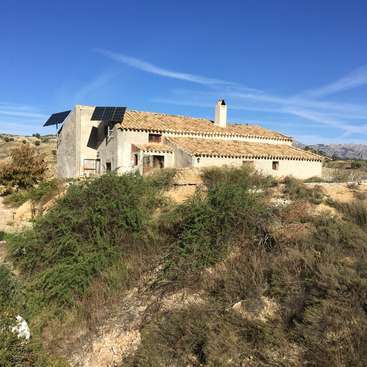 Renovating an old traditional rustic Andalucian farm house. The cave inside the house needs to be finished. Building with traditional materials ( yeso, caña, natural stones, wooden beams) and modern ( bricks, cement etc), electricity installations, painting and cleaning inside and outdoor. We also need people to help out growing , weeding and harvesting organic vegetables and feed the chickens. The kind of help also depends on which season it is. Examples: In the winter months we pick olives. Summer agriculture. Late summer harvesting and a lot of preserving vegetables and little bit of wine making. Our days never look the same. Some days there are many tasks and others less so you have to be a flexible person who can deal with changes. We need responsible grown up handy people. Some building experience is an advantage but not necessary. You will be instructed with patience. You will benefit on having a driving license. If you know anything about permaculture it would be marvellous. We know very little but wish to improve. You have to speak Spanish as Eduardo doesn't speak English. At the moment we have one guestroom with a double bed in the house. In the first place we wish to live with the workawayers but we also have the possibility to use the neighbour house which is also ours. Bathroom and kitchen are modern. We offer breakfast and two meals (comida and cena). You buy your own wine/ beer and snacks. Note that our traditional life style will probably not be compatible with vegan lifestyle unless you are open minded. We have had many vegetarians and that worked very well. We don't accept any drugs! There are multiple activities and interesting places to visit in the area. This is a rural place situated in the mountains on the east end of Sierra de los Filabres not too far away from the Mediteranean Sea (45-50 minutes drive), The Alhambra (Granada only 2 hours by car), nature in the mountains ( Sierra de Baza and Los Filabres) as in the sea ( Cabo de Gata) typical white andalucian villages, Mini Hollywood (famous for being the place where the spaghetti western movies with Clint Eastwood were filmed and also the epic film 'Lawrence of Arabia' among others and recently 'Game of Thrones'). The local area is perfect for hiking long or short walks. The climate is dry and warm very little rain through the year. Fantastic place for ornitology interesting fauna and flora with many protected species. Cycling is a popular sport. Also nice roads for biking or just exploring the area with a car. Marlon, Marisa and Anna at the public pool in Albanchez. Eduardo and Eva-Rose discussing agriculture and practising Spansh. Jayne, Joan and Eduardo preparing for the new drain behind the house. Estefania with her favorite tool. Happy workawayers peeling grilled peppers. James, Lydia, Santiago, Anja, Amit and a little bit of Eduardo. November 2016. Amit and James learning to use a two wheeled tractor. November 2016. 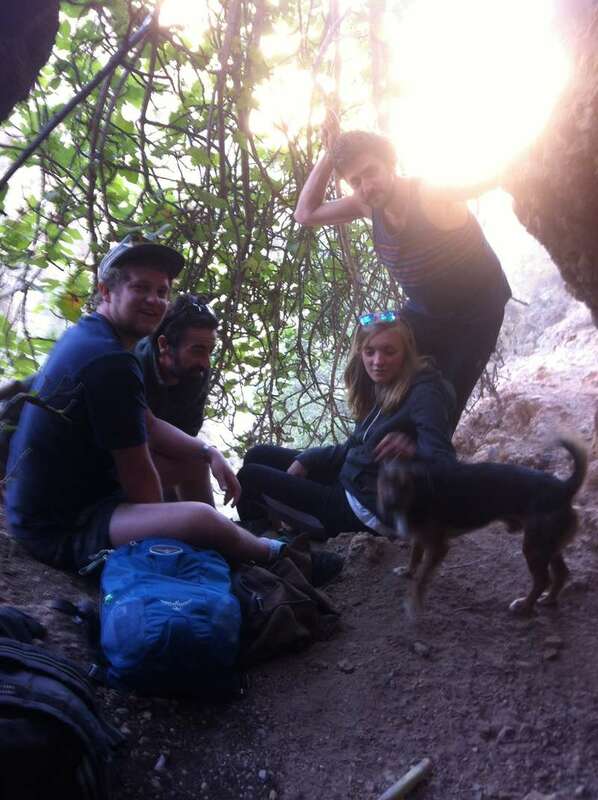 Sunday expedition to La cueva del agua with James, Marco, Lydia, Santiago and Joao the dog. November 2016. 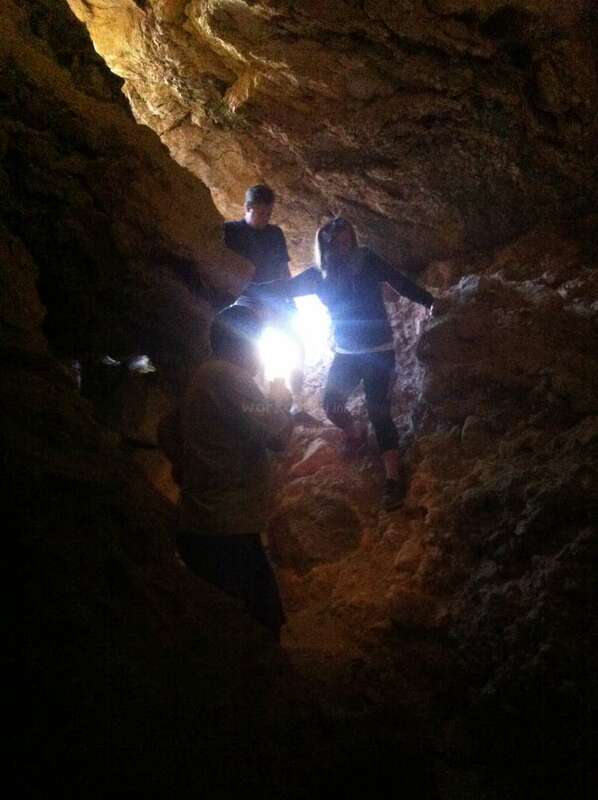 Expedition to La cueva del agua. November 2016. Eduardo teaching Lydia and Santiago how to work with yeso. November 2016. 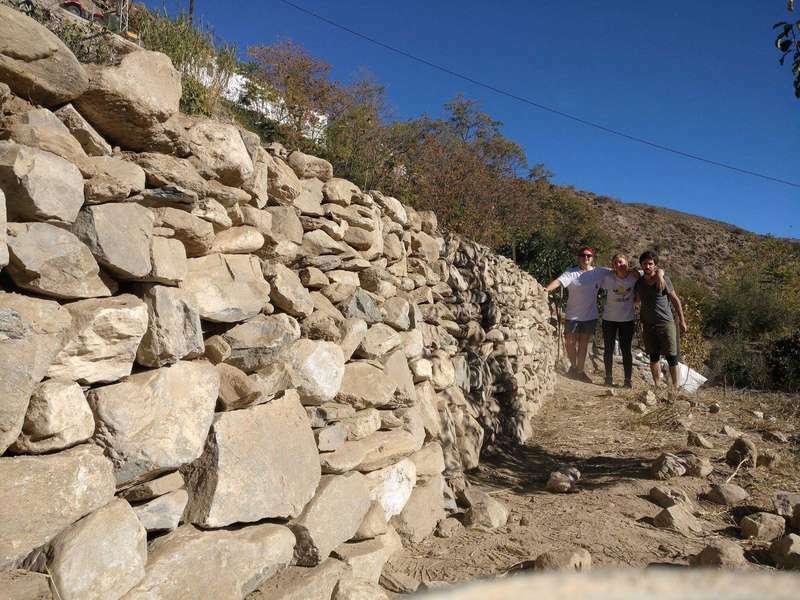 Rivazo (stone terrace) finished and represented by James, Lydia and Santiago. November 2016. Steinar from Norway picking olives. January 2016. 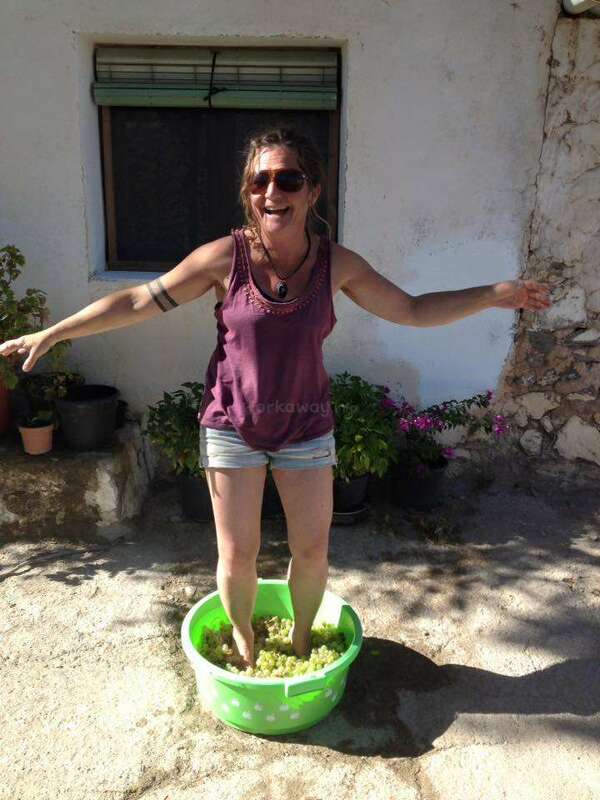 Nina from Norway making wine. September 2016. It was a pleasure to know Sandra and we had a lot of fun. She worked with Eduardo in agriculture and building and made new walls and roof on the chicken house. Sandra is easy going, responsible and positive and joins whatever suggested. Hope to meet again Sandra and your lovley daughter. Lenka did a fine piece of work here. 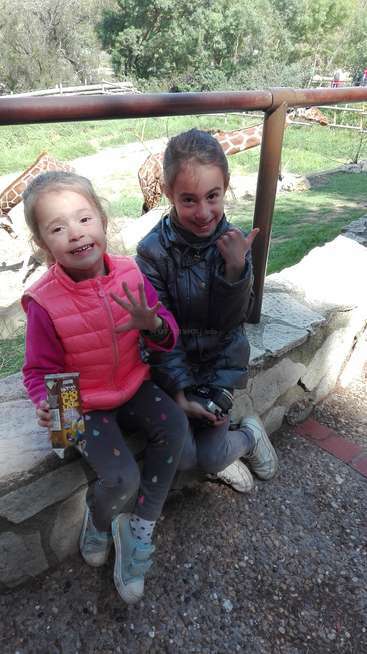 She is very sociable and her laughter and her conversations made the others feel happy and relaxed. There was a lot more social activity going on than usual. It some times was a little too much compared to what focus on work we usually expect but I think it was needed for all and I believe the volunteers made… read more friendships for life while staying here. Which is also very important :) That said, Lenka did everything she was told to and seemed to enjoy the variety of tasks. One of the best decision in my life. I've met just AMAZING people, I've learnt a lot of new things(f. e. I was driving tractor, we made wall and sofa and a lot of cool stuffs) finally I was in nature with animals, good food, I improved my spanish(if I was more confident it would be better - minimum basic spanish you need for sure) and work what… read more has sence and you feel that you do something good. Tonje has a lot of nice ideas with permaculture. And Eduardo and Tonje are super nice couple with sence of humour. It was amazing real workaway experience and I have to highly recommended. Thank you, I will never forget and see you (I have to come and see árboles what we planted 😊) suerte con todo, besos. Sólo permitimos contacto con los Workawayers si su subscripción es activa. Thank you Tonje and Eduardo for an amazing first workaway experience in the Albanchez. I learnt a lot about harvesting olives, farming, nature and ate lots of delicious food. Some of my favourite dishes were Tonje's fish and meat soups, her amazing pear cake and Eduardo's paella de conejo. Tucking into a home-cooked lunch on the Andalucian… read more mountainside after a morning of harvesting olives is also something I will never forget! I really enjoyed meeting the other volunteers and I would love to return :) (in the mean time I will be sure to be practising those spanish verbs!) 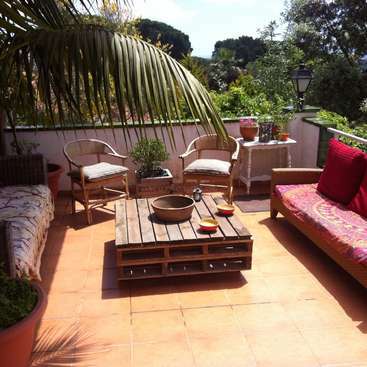 Tonje and Eduardo are great hosts and I would definitely recommend this workaway experience. Libby has an excellent positive attitude and always says yes to do any task and is not afraid to try and learn new things. She cooks delicious food. Though - she is dependent of being guided as she was not familiar to farm work and it would have been a lot easier for all if her Spanish was a little bit better. 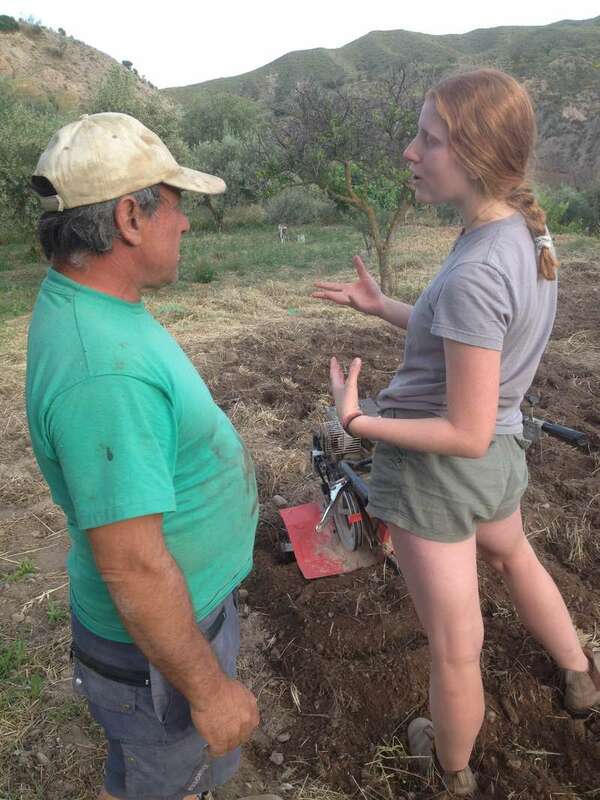 Libby has been picking olives,… read more helping laying irrigation, building and cooking. Don't hesitate to accept her she is a wonderful girl! There are so beautiful nature and kind people.If you are interested in permaculture,Tonje give you some advice.if you wanna speak Spanish,Eduardo talk with you in Spanish. Everyday I saw beautiful sky,stars and mountains,I often climbed a mountain near our house and saw it.It was so beautiful!! 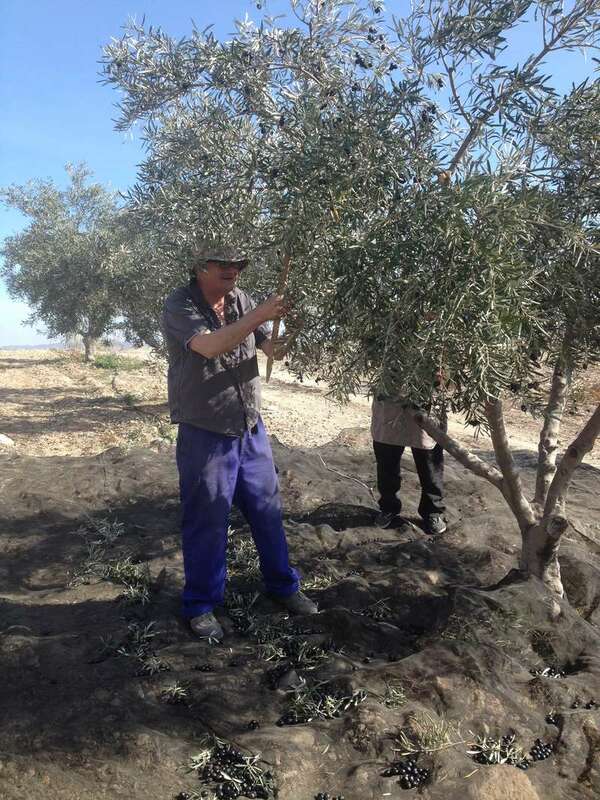 !I have done pick up olives,take care trees,build a… read more pizza oven and room. We laughed a lot and got a good experience.Work is sometimes hard ,but that's why it will be food and drink are more more delicious,beautiful nature heal us. Thanks Tonje,Eduardo,Don,Manino and Daniel.I could spend a good time for you. Had an amazing first workaway experience with Tonje and Eduardo... The place they live in is super chilled and so are they. The work is varied and everything is so laid back, no pressure at all so the work doesnt feel like hard work which is great, and its mostly outside which was awesome for me. They are great at cooking so the food is amazing… read more and plentiful, i especially loved their fresh homegrown tomatoes! It feels like it is too early to write a feedbacck to Sean because we already agreed to have him back soon. He has stayed with us for more than one month and we are absolutely thrilled to have him in the house. 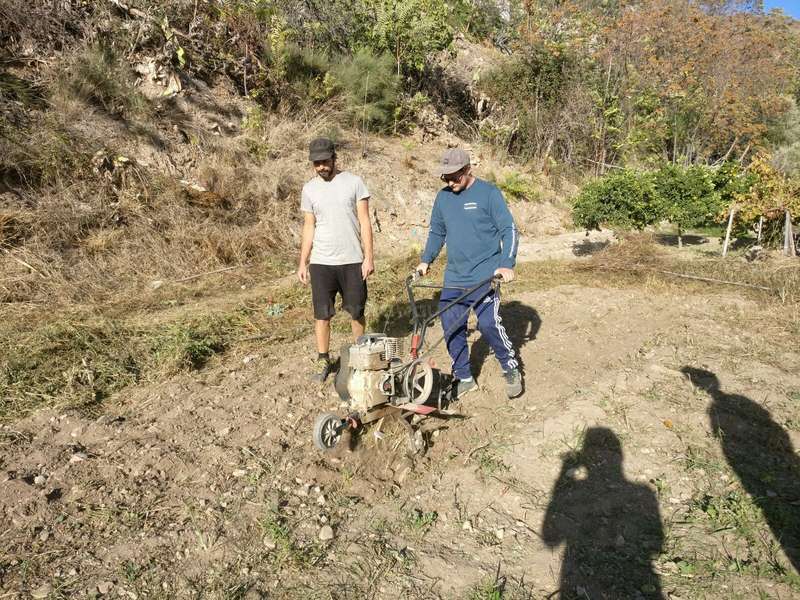 He has been picking olives and helped Eduardo preparing water pipes and plant almond trees, building walls, fixed the fireplace, assisted… read more in mechanics etc etc. As a person he is incredibly easy going and a fun guy. Looking forward to have him back. He makes part of our family. We learned a lot thank's to the good philosophy and patience of Eduardo !! I hope you wiil keep this energy ! Now after Italia… read more and Albania we are in Greece and we send you a lot of love !!! Anaëlle and Jeremy was such nice people to have in the house. Easy going, positive and hard working. They did any task they were asked to do with a smile and also made friends with the other workawayers which made a great team spirit. Eduardo was so happy with them and we all had great laughs. They helped in building and agriculture also Anaëlle… read more is a great cook. Oh how can I describe how thankful and satisfied I am with my stay at Tonje and Eduardo! They are a really wonderful couple with so much sharing and caring for others. I felt so appreciated and taken care of from them. They have inspired me a lot with their lives and personalities. The work was so fun, and I have learned a lot about agriculture… read more and building. Furthermore, about an alternative way of living, traditions and new manners of handelling everyday life. I already miss this place - the food, the people and the olives! I will defenitely keep in contact with these persons and come back to this place. This experience was reaaaally above what i expexted and the best possible first workaway. Thank you once again Tonje y Eduardo for letting me be in your paradise for theese two weeks!!! Maya is an extremely hard working, intelligent and curious person with many skills. She is so happy when she can only use her body, stretch her limits and learn new things. She has been a great help picking olives, using the drill hammer household maintance, mechanics etc. She has truely been Eduardo's right hand the two weeks she stayed with us… read more and became like a part of our family. Even the neighbours loved her so much they invited her to come back and stay with them. She is also a great cook and a true artist. She left us a beautiful painting on her bed when she left. Margarida has been a great help for us. She is focused and positive and shows interest in solving any problem. She and the other workewayers made a dream team and we had great laughs. She helped in agriculture as well as in building and even mechanics. I couldn't have asked for a better first experience with a WorkAway! I spent 2 really nice weeks in the cortijo, amazing food, lots of fun during and after work. There's a lot to do and work will be different everyday which makes it more interesting :) muchas muchas gracias Eduardo y Tonje, I hope all your projects go well! Tonje and Eduardo are very welcoming, very warm and very endearing couple. It's really pleasant to stay with them and they make you feel comfortable. The accomodation is very good. They trust and are totally in the principle of a "real exchange" more than waiting for a simple job to provide. I enjoyed my time a lot, it is a very quiet and remote… read more place. I recommend staying at their home for any open minded person willing to discuss any topic. This is my best experience of workawayer and will remain for ever a very good recollection. I wish you the best and thank you very much! Ulla has been a great help to us. She has an energy and enthusiasm for everything she does and always wants more tasks. She seems to be a generally happy person with many plans and ideas still very organized. She has painted walls, cleaned and fixed. We made good friends with her and have planned to meet up again somewhere. In Oslo? Krakow? Or… read more perhaps Spain? Thank you Ulla :) Wish you luck on your exciting journey. Ai is a positive creative and hard working young woman. Always doing whatever she was asked to and in her free time she would make beautiful creations or humoristic installations of things she found in nature. It must have been a real cultural shock to come directely from Tokyo to the Spanish rural life but she met Spain and us with an open mind… read more and took part in everything. Thank you so much Ai. For all your help and for choosing to stay with us. Tonje and Eduardo are really helpful and always cared about me if I’m tired, cold or hungry. It was my first workaway with full of new experiences which might be difficult to do in a city. I enjoyed a trip to small villages nearby, strolling dessert and tasks I was asked such as repairing the house, building a green house, picking vegetables and… read more more! I appreciate everything they’ve done to me and hope to see them again! I stayed with Tonje and Eduardo for 2 and 1/2 weeks, which was far too short. They live in a tiny little village which is very peaceful and cozy. Although it's quiet, there is plenty to do like building things with bamboo, observing the exploits of drunken Englishmen and swimming in an pool full of bat poo deep inside a cave. 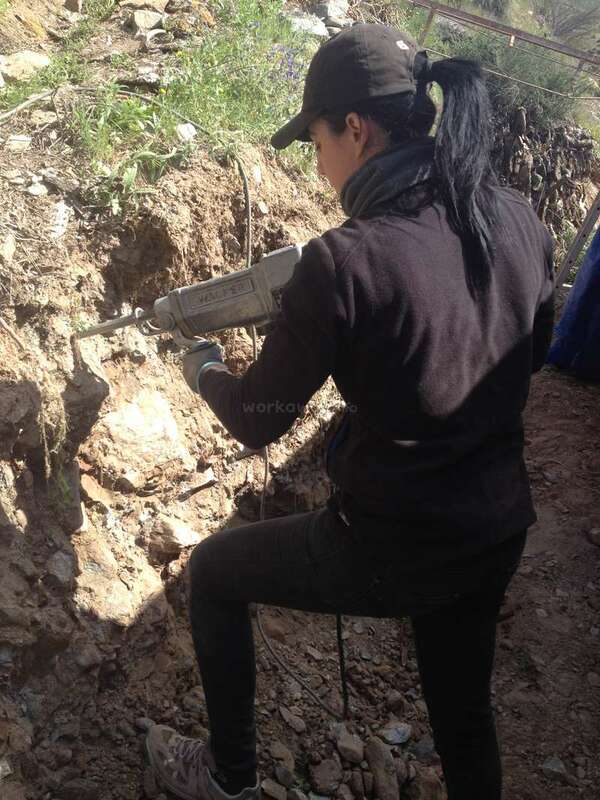 I enjoyed working… read more with Eduardo and embracing my inner Rambo using the wacker. They are really relaxed and are great to talk to, including Tonje's parents and Maninho and Don. I've learned a lot from my brief stay and would definitely go back. Jake is a true joy to have in the house. He is quiet but when he opens up he is such an interesting person with many thoughts and interests. He is also a very hard working and responsible young man. He was very much liked by the other workawayers neighbours and our family who was visiting one week during his stay. Jake helped out in building… read more agriculture. Prepared for the extension we are making on the house building a greenhouse took more than his share in the kitchen and fed the chickens. Apart from all the other work he did he is an excellent cook and made us delicious English food a couple of times. He takes initiative and is self going. Jake stayed for 2 1/2 weeks and we will miss his company. Thank you for all the help you gave us! Hop to see you again. Zoraida is incredible. We all love her and her laughs. The neighbours still keep asking for her. She works very very hard and is responsible self going and positive. She has helped in agriculture and digging to prepare for house extension and water drains, fed chickens and building a greenhouse. We also had a lot of fun dressed up like mexican… read more marriachis and went out for some pizza. It made us facebook stars in the village for a couple of days and we laughed a lot. Zoraida also told about her country and family and it is truely amazing what she has experienced and survived. Thank you for all the help you gave us Zoraida! Tonje and Eduardo firstable, thank you so much for had made my stay like one of the most unforgettable good times in my trips/life! Tonje, thank you very much for your enjoyable food,chats,company and your opened beautiful heart. I'm so glad I met you. I learned so much from you. Edueardo, thank you very much for all that fun I always had in your place. You and tonje are so beautiful souls and friends that I always gonna keep in my heart and memories. I hope with my heart to be able to comeback and see you again. Take care my friends, lots of love. Alina came to our house with a lot of enthusiasm. She is genuinly interested in nature and agriculture and did any task she was asked to. She is very curious and likes answers with a meaning. She is always prepared for trying new things. She adopted a lot of Spanish words and her Spanish advanced while she was here. Alina has her way of thinking… read more and a good sense of humour which made it fun to be around her. She made good friends with the other workawayers too. When she left she made a beautiful speech to thank us all for her time spent here. Give Norbert(o) a hug from us all too. 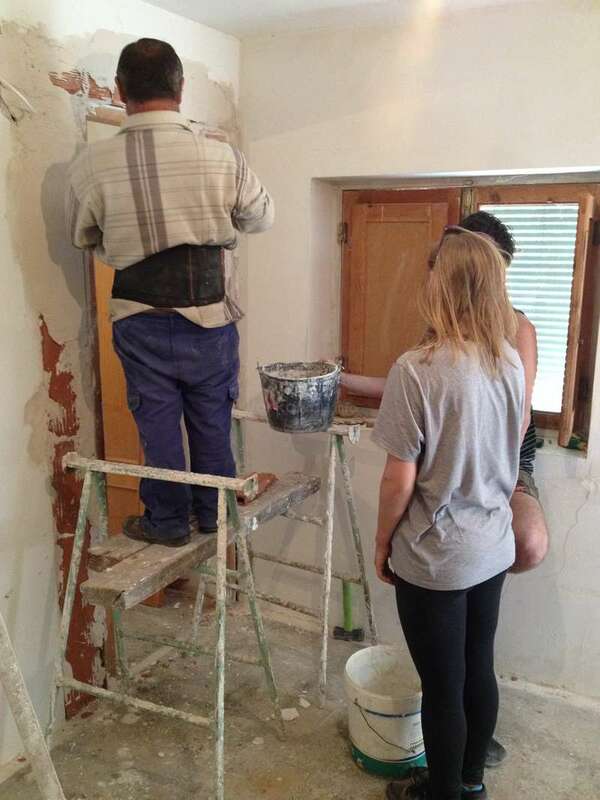 Gentiana and Andrei have been to such a good help in our house. They have contributed in agruculture as well as building and even fixed a car for us. Unfortunately Eduardo had to stay home alone with them and they were the best company for him while Tonje had to go to Norway. Thank you so much and best of luck on your trip. Hope to meet you again… read more and have some more of the interesting conversations we started on. Tonje and Eduardo are a very friendly couple who helped us spontaneously when we were in a miserable situation. They cared about everyone really lovely, so that we always felt at home. The work was interesting and not too hard and Eduardo was the funniest boss you can imagine. Our daily highlight was the trip to the swimming pool. We really… read more enjoyed our time there with the other volunteers and highly recommend their offer! Marisa, Anna and Marlon came to us with joy and ukuleles for one week and worked hard doing whatever had to be done. Agriculture as well as building and domestic tasks. Thank you so much chicos! Wish you luck on your travel. Peyton is a wonderful young man. Easy going hard working and genuinaly interested in people and learning new skills. 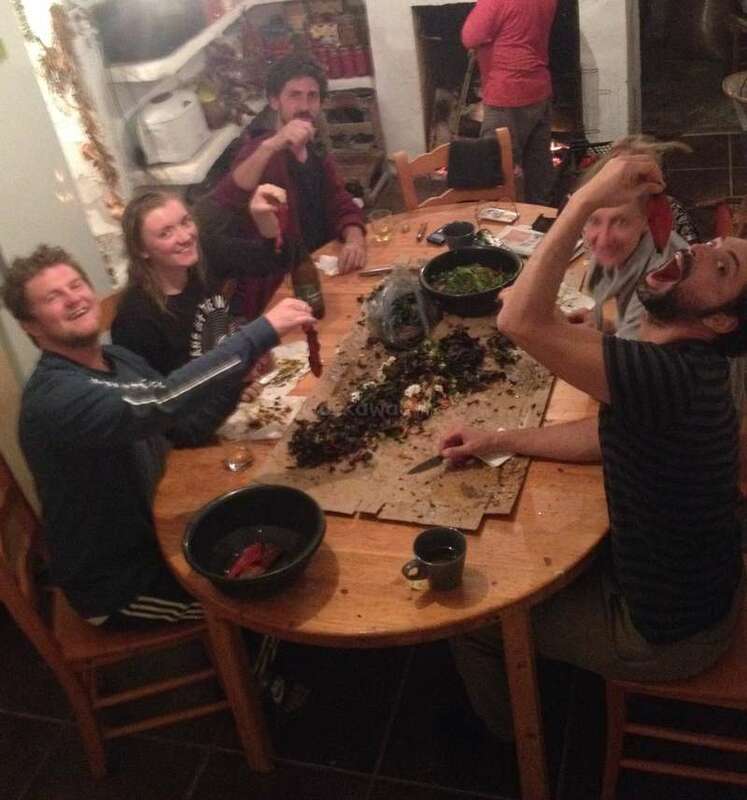 He is the kind of person who washes up after dinner without being told to do so. He worked in agriculture and construction without problems. He was very much liked by the other workawayers as well. We highly recommend him to nice… read more people. This was my first workaway experience and I really lucked out! Tonje and Eduardo are both incredible people. They make you feel at home from the moment you get there, offering so much to make you comfortable. They are always there to talk to and learn about anything you want. They are both very patient and good-hearted people. The work we did was… read more a few construction projects around the houses in the evenings and farming in te morning. It was a stress-free environment, as Eduardo is incredibly patient and always up for a good laugh. He's a great person to talk to learn anything, listen to funny stories, and practice your Spanish! These 2 provided an experience I will always remember ranging from learning about the Spanish countryside culture, the language, the food, and even many others experiences. Definitely recommend this workaway experience! Had a great time with Tonje and Eduardo! The help was enjoyable and Eduardo was a great boss, always laughing and joking. Tonje was friendly and always took time to help. Was a pleasure to stay there and would highly recommend to anyone! Tom stayed with us for ten days and worked hard in building and agriculture. He is interested and shows an understanding for what he is doing. It was his first workaway and he fitted in perfectly in the wonderful group we had the pleasure to host. He could need some more practice in cooking and cleaning and was very positive while learning. He… read more is also a very interesting conversation partner and is genuinely interested in other people. We miss having Tom around and hope to meet him again soon. Tonje and Edwardo were truly wonderful and generous hosts. From the minute I arrived from the bus, to the minute I left, Tonje ensured I was always happy, well, enjoyed my work, and had everything I needed. I was included and welcomed to all their dinners and BBQs with family and friends. As hosts, they are very serious on offering Workawayers a… read more cultural experience and they were happy to drive me to places far away for this experience! Their patience is 5 star. As a basic Spanish speaker, but keep to learn, I asked so many questions and the response was always welcoming, warm and helpful. This is amazing considering every Workawayer they host typically ask the same questions to improve their Spanish. They share lots of interesting stories, assisted me in so manys ways for my onward journey and activities. They are always so grateful of each diverse Workawayer and welcome their personality and working style, and are extremely flexible and laidback. 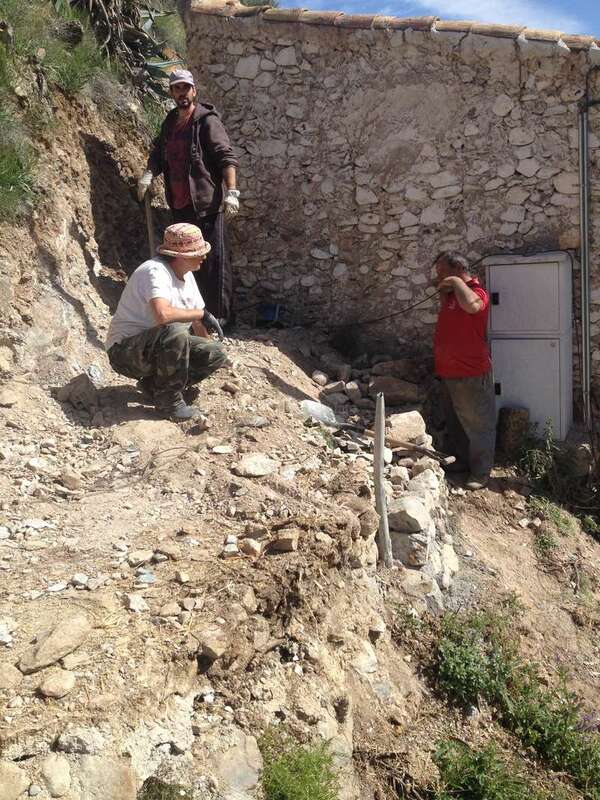 The work was lovely, out in the mountains working with agriculture and building. The food was DELICIOUS! Typically a mediterranean style, and lots of their yummy organic home grown vegetables. I had a simply wonderful and comfortable stay, enjoyed everyday and the experiences given to me. Thank you so much! Jessica stayed with us for 11 days and we only wish she could have stayed longer. She is all over positive and a pleasure to have in the house. She also got her brother coming over from England and he is also very polite and pleasant. He is giving us a hand in agriculture and building. I say is because he chose to stay a few days longer than his… read more sister. Jessica has helped out with any task needed. Agriculture, building, cooking, cleaning etc etc. She is very independent takes initiative and shows creativity curiosity and good skills in many many things with high level of energy and joy. It was very interesting to listen to her stories from her many travels. It has been a good time with Jessica here as a 'senior' as we have had up to five workawayers at the same time. The group was perfect thanks to her. Thank you for all Jess! Miss you a lot. Everybody must just love Ayuko! She is so interested in learning new things and eager to participate and contribute to absolutely everything. She is a mild and humble but also an extremely hard working and focused person. She brought the best of Japan to our home and we appreciated ever bit of it. Ayuko will for always be in our… read more hearts. Thank you so much for helping us. We wish you many exciting adventures and you know where you will always have a home in Spain. It was amazing time for me. I miss Tonje and Eduardo and all things. It was first time to workaway but, here is the best. I really enjoyed workaway with Tonje and Eduardo. Tonje is very very kind and cheerful person. Eduardo is also very very kind and he has amazing sense of humor! Tonje and Eduardo is my ideal couple. I… read more was so happy when I had time with Tonje and Eduardo. The work is all special nice experiences for me. I really enjoyed work with Tonje and Eduardo. Also, every cooking was amazing! I could learn how to cook delicious meals. I worked at farm and I could learn a lot of things from Tonje and Eduardo. Tonje and Eduardo is grow vegetables and fruits naturally. I really want to back soon! It was too amazing experience. I am very Thanks to Tonje and Eduardo. We had a great time! Eduardo it wasn't just a boss, he was a work partner, we learned a lot of things with him. Thanks to Toña we explored many beautiful places, where she took us to see. We learned a lot about her culture and her country, after that we want to visit Norway. We laughed a lot with them. And Don, Omg Don! Don is the boss of the… read more house, he is a lovely cat, always looking for attention, and ready to play, he is the best and funniest cat that I ever see. Thanks guys for the experience. Estefania and Joan are such lovely peopole to be with and easy to work with. Both hard working! Estefania is a monster with any hard physical task and very patient. Sometimes you wonder where she gets her strength. They are as they discribe themselves quiet but not boring. We had so much fun and they are really interested in learning new things… read more and curious to learn about other cultures, countries and languages. At the moment we only have chickens and cats but Joan showed a unique skill communicating with animals. 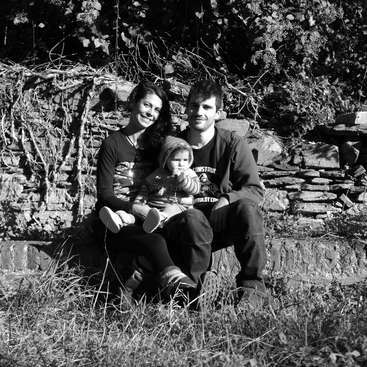 They have done farming and building with an all over positive attitude to everything. They go very well together with other workawayers as with the neighbours. One night Joan showed us professional sushi making and let everyone try to roll makis and showed us his pedagogic skills as well. Estefania and Joan stayed with us for four weeks and it was strange when they left. We miss them a lot and hope to see them again some day. We are really impressed by Ava-Rose. Here she comes... Only 18 years old and travelling the world alone. She is a very polite and humble young lady. Terribly hard working and she already knows a lot from her earlier experiences. She also loves animals and to cook and made us a tasty turkish meal. It's important for you as a host to remember to… read more take her to places for some cultural exchange or else she will work too much without any complaints. Holly and Matt make the cutest couple ever. Their affection for each other makes the environment positive just by that - but they are also very curious and willing to learn new things, fast learners and brilliant cooks. It was a pleasure to have them here and they contributed on every field. Wish you all the best and welcome back if you ever… read more cross the roads of Sierra de los Filabres again. Say hello to Remedio y Paco! Hahahaha! Sien stayed with us for one short week but we got a very positive impression of her. She works hard and laughs a lot. Pleasant young woman to have in the house. We really recommend her to other hosts. Good luck on your adventures Sien! Maybe we'll meet again some day? Eduardo y Tonye son dos personas muy tranquillo. He ayudado con plantan los pimientos y era muy interessante que ver el procesión de agricultura. He aprendido es necesitas tener muchas paciencias. Eduardo ha hecho una sistema muy buena, el es un grande inventor! Tonye y Eduardo quieren ayudar con practicar español tambien. Muchas gracias porque… read more hablo español muy mal. Eduardo es un profesor para practicar conducir tambien! Muchas gracias por tus confidencia y he conducido por la primera vez! Tonye ha cocido los todos semana muy bueno y Eduardo tus pizzas son bellisima! Espero que los pimientos fuere muy grande! I spent a very happy three weeks with Tonje and Eduardo. They are great hosts and make you feel welcome and at home. It is a beautiful place with amazing views and very peaceful. Tonje and Eduardo cook delicious home made food. Eduardo is very skilled in building in traditional ways and they both work very hard to achieve their plans for the… read more cortejo. I learned about building dry stone walls, how to use Yeso plaster. We also built a hen house, laid irrigation on the fields and worked on the crops. Tonje took us for a day out in the high Sierras where there was still snow..!!! Its a great opportunity to learn restoration of old traditional buildings, crop growing, and you couldn't wish to meet nicer people. Much love to you both and hope to see you again!!!! Jayne, Jayne, Jayne... What a lady! She is really a unique person with loads of experience and knowledge. Only wish she could have stayed longer. She is such a hard worker and was to so much help for Eduardo. She is humble and quiet but also very amusing and we had great laughs. She is also very generous and made English Sunday dinner for all of… read more us. Delicious and exotic for hosts and workawayers who had few experiences with other English food than fish'n'chips. When Jayne left it was like saying hasta luego to and old friend and we do expect her back. As a friend of the house, workawayer or even house sitter. You can trust her 100% and she is totally independent. Absolutely recommended! 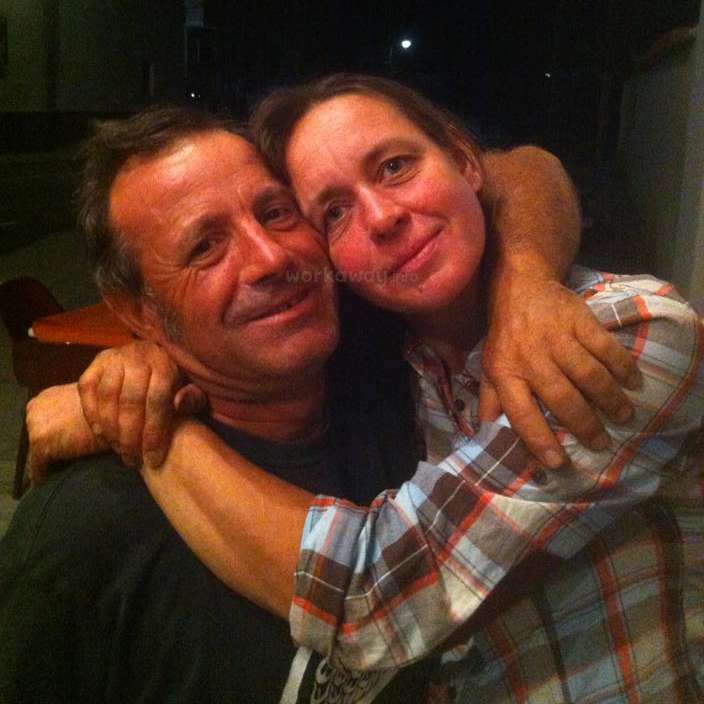 Lorraine and Serafin are very hard working people and contributed a lot in all different ways. The rythm of working hard for a couple of days and then take a day off exploring with their own car was a brilliant combination. As one can expect from them they are both good cooks and were more than willing to share of their knowledge (like making… read more pickled eggs). We wish you the best of luck in Jaen and hope the experience of working on our cave is useful the day you open your own. Tonje and Eduardo are a lovely couple, and the work was not hard, for me! (Serafin really enjoyed 'la caverna', but I think he prefers cooking!) Shame about the weather, but it seems it got even worse after we left! We had some delicious food and hope to meet up again one day, maybe in Jaén! Simone is such a sweet and lovely girl. She does anything you ask her to do with a smile. She's familiar to household and animals and does these tasks independently. On new challenges she is a humble but fast learning apprentice. Despite her young age she speaks Spanish very good as to be her fourth language. It's a pleasure to have Simone in the… read more house and we wish her an exciting trip to Kiwiland. Hope to see you again some day - demonio! I spent a wonderful time with Tonje and Eduardo. From the first moment on they treat you like a member of the family amd you feel welcome in their home! The house is really nice and also the landscape is amazing! Pablo es un encanto con sus risas y forma positiva de ser. Trabaja mucho y con mucho entusiasmo. Hasta que no consigue terminar el trabajo bien hecho no para. La casa no es la misma sin él. Esperamos que venga otra vez algún día en un futuro temprano. Uffffff! Tanto Por agradecer!!! Toña y Edu son excelentes anfritiones!! De Una calidez Humana extraordinaria!! Siempre atentos, amables y preocupados Porque Tu estadía sea grata y comoda! Los extraño! Sin dudas una de las experiencias mejores que he vivido! El trabajo no es duro y siempre hay algo para hacer. Muchas gracias Edu y Toña! Espero… read more volver algun dia! Abrazo! Santiago is a real 'care taker' and a hard working man. Easy to work with and full of hidden surprises. He's always eager to learn. Santi stayed with us for nearly a month and is missed. Say yes if you have the opportunity! Beautiful experience!!! I had fun and I learned a lot thanks to an exceptional man, knower of many things called "talento" oh sorry, him name's is Eduardo! He is always happy and ready to explain everything he knows. Lydia and James have been our first team's youngest and cheeriest participants. They are always positive and stretch their limits beyond what they thought they were able of. Keep up your chain sawing, Maria! We really hope they will come back some day. If you get a message from Lydia and James - accept! Tonje and Eduardo were such amazing hosts! We felt so welcome from the moment we stepped through the door and felt we had become part of the family throughout our stay with them. Both of them are fun loving and kind people. Having to do an array of different jobs such as picking vegetables, learning how to preserve them, feeding and walking the… read more beautiful Llama (their goat), working on watering the farm and growing our own food, building a wall out of stones, building a wall inside and cementing, the list could go on and on! We were able to learn so much from them. Marco is a sun beam! Hard working and positive. Sorry we didn't agree on one certain point. We miss him and Joao as parts of the working team. beautiful experience with eduardo and Tonya! Anja and Amit were our first workawayers and we couldn't have better luck. They have contributed to start our experience as hosts in the smoothest way. They are both curious and hard working, independent and positive to everything. They also make other workawayers feel included and welcome. We highly recommend them. In case hosts have doubts… read more because of the dog we can only say Canelo is just lovely! Por favor inicia sesión y visita este perfil para dejar tu comentario. Para ponerte en contacto con un anfitrión, inicia una sesión con tu nombre de usuario y contraseña o regístrate en workaway.info. Help speak Englis with kids while discovering the Catalan culture!